If you need a Thomas Jefferson wig, or any other wig from the Colonial era, to portray the culture and society of that period, read more to learn how to make a Thomas Jefferson wig. These easy to follow instructions will make your wig right for any party or theater production. 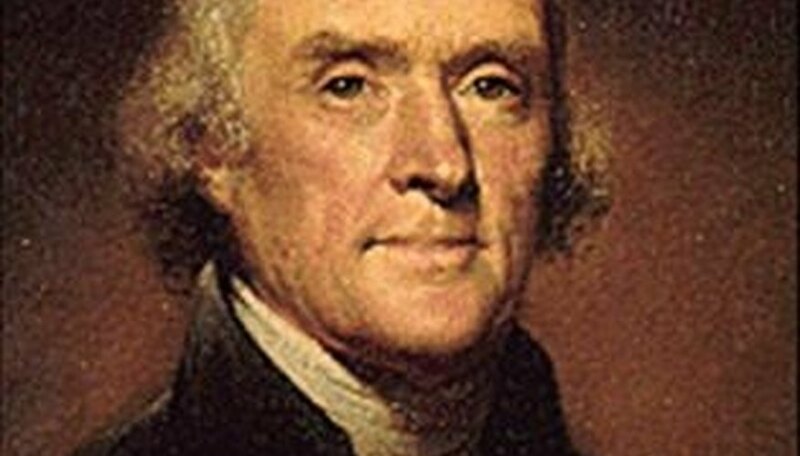 Find a Picture of Thomas Jefferson. Start by finding a picture of Thomas Jefferson. The better the picture, the better your wig will be. You need this so you can compare the wig to the way Thomas Jefferson actually looked. Make sure to choose a picture you like, as it will be your reference for how the wig looks in the end. Prepare the Head Form. Take the head form and pin the netting loosely. Keep the netting long to allow the hair to hang down. It's also easier to make long hair shorter than short hair longer. Then, fit the wig to the wearer's head. Mark where the hairline begins and ends. Add an inch to either side in case of shrinkage and cut the netting to fit. Sew Tape to the Edges of the Cap. Sew the tap all around the edges of the cap and then add the rigeline boning into the sideburn area to hold it in place. From there, you can start sewing on the hair. Start at the bottom and work your way up, adding in enough space to prevent the hair from appearing too fluffy when curled. After curling and brushing the hair, add pins to keep the hair in place. Add Elastic. Put the wig on the person who needs it to see how it fits him and adjust it from there. Add the elastic to hold everything in place. Then, add a comb to further hold it in place. Make sure the curls are hanging the way you want them to and that they will stay firm. Add the ribbon if you want &#x2013; if your Thomas Jefferson picture shows one. Spray the curls and the wig with hairspray.